A great apartment for sale in Corralejo, Fuerteventura.GoldAcre Estates SL offers a spacious apartment in a well maintained development close to the centre of the town. The apartment comes fully furnished and enjoys an eaxtensive communal garden and two swimming pools and again at a very competitive price. 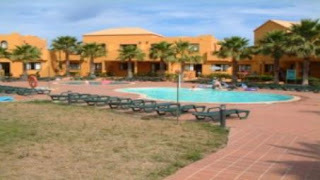 Close to all amenities and the best beaches of Fuerteventura, Canary Islands. This property offers a very good rental potential. Great opportunity, great value in a great island, take this opportunity you won't be disspointed, the Canary Islands offer the best weather and lanscapes of Spain.